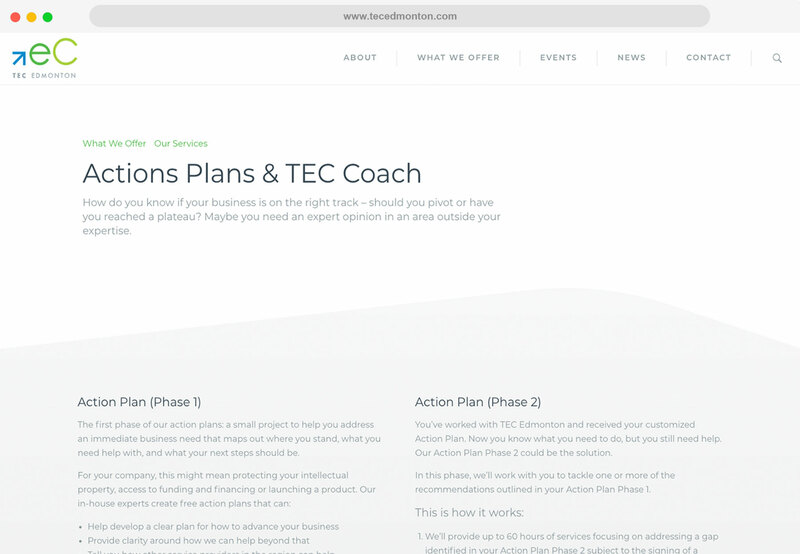 TEC approached us looking to give their site focus. 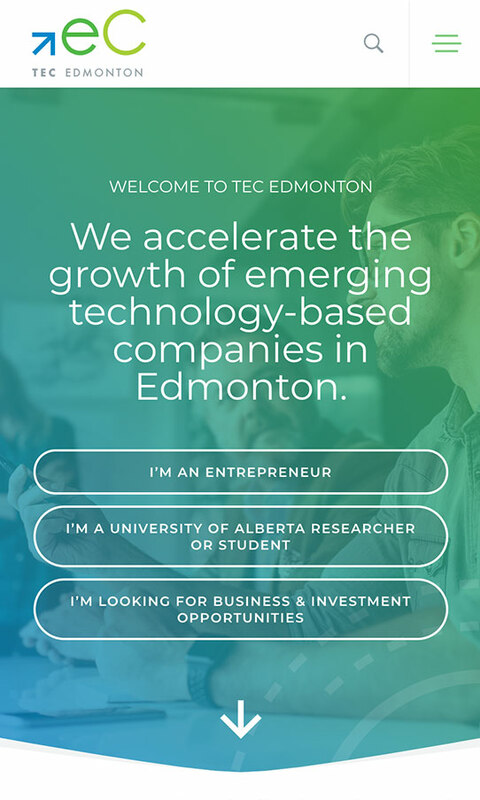 At the time, their website didn’t clearly articulate what their role was in the entrepreneur ecosystem. 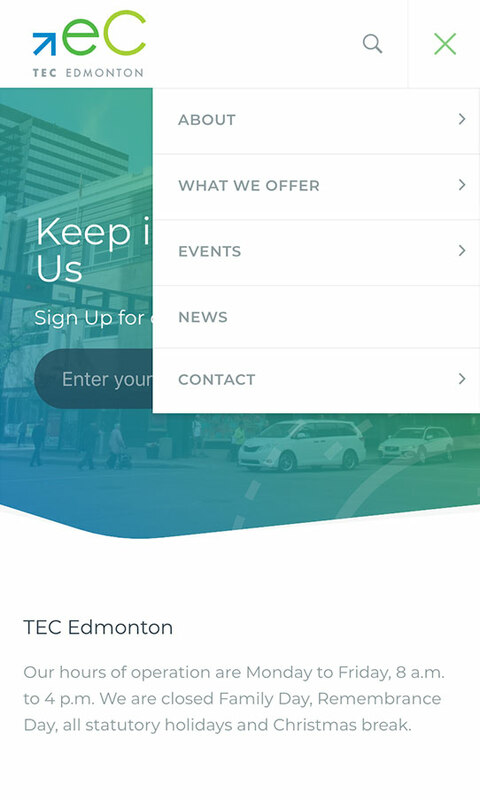 It had an outdated UI / WordPress theme that was causing some excess load time. 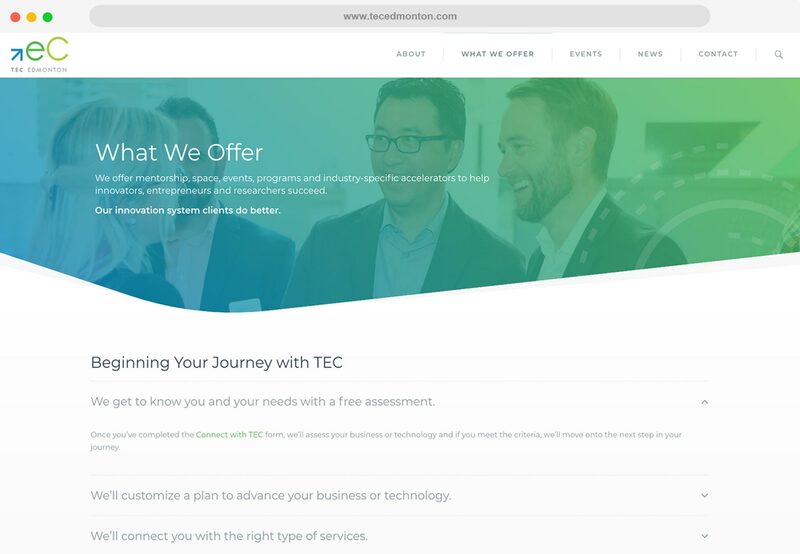 After a full refresh, we proudly launched a site that their team can easily manage internally and has a much clearer purpose. 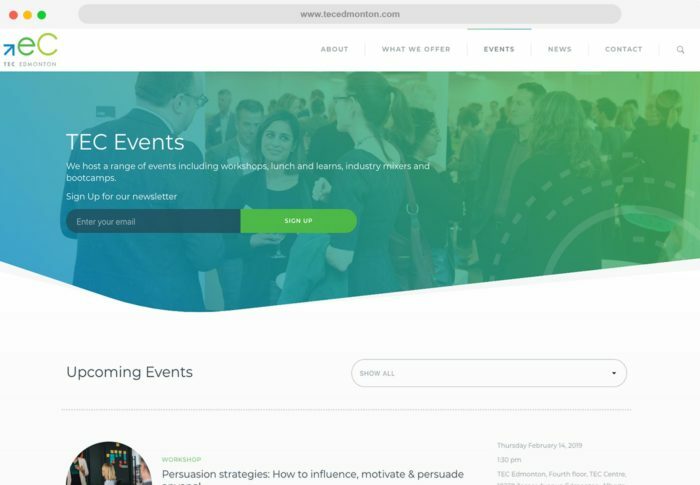 In our new site, we improved responsiveness all around and ease of access to important areas, we streamlined their events and news, and incorporated some updated brand elements. 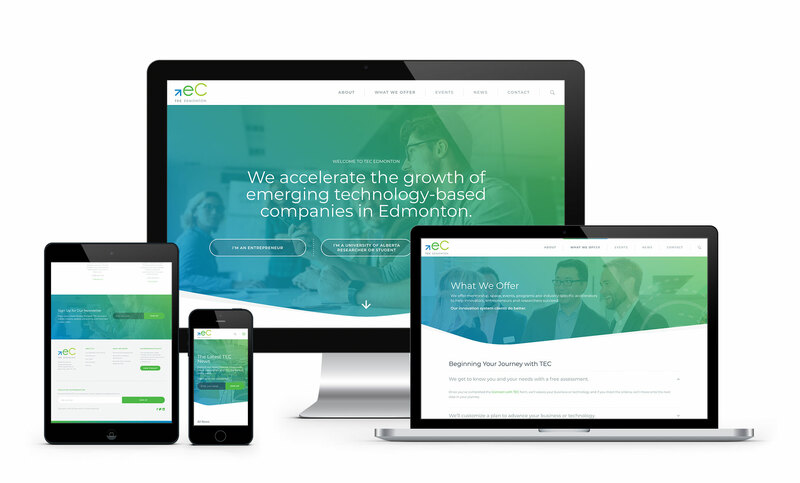 With better organized content and a clear hierarchy to their navigation, it is a breeze to get the information you need from any device. 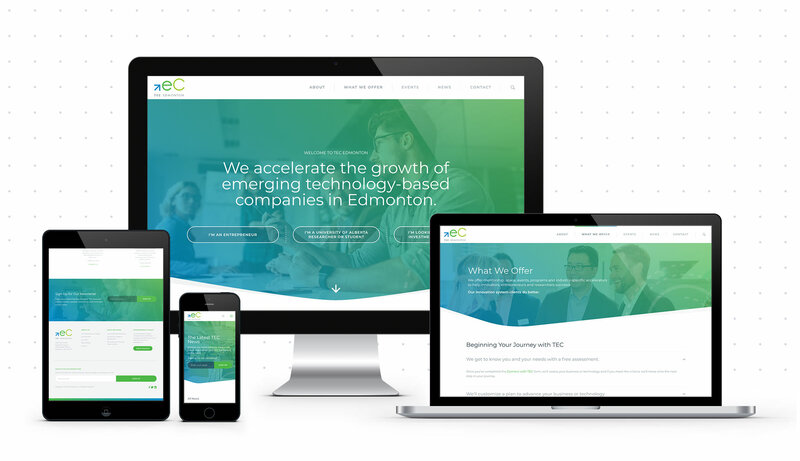 It’s always a great feeling to launch a new website, and it is immediately clear that you have made an impact. 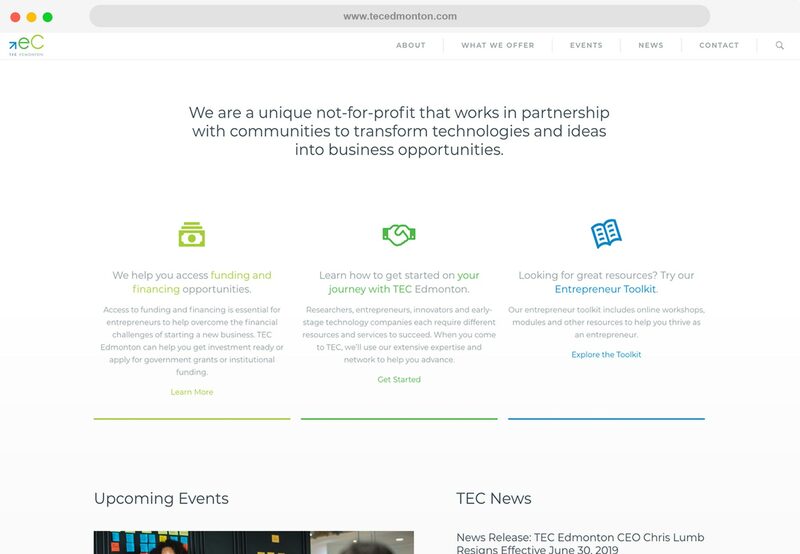 TEC Edmonton is such an important part of our cities entrepreneurial ecosystem and we feel that this site re-design will result in measurable benefits to many small businesses. 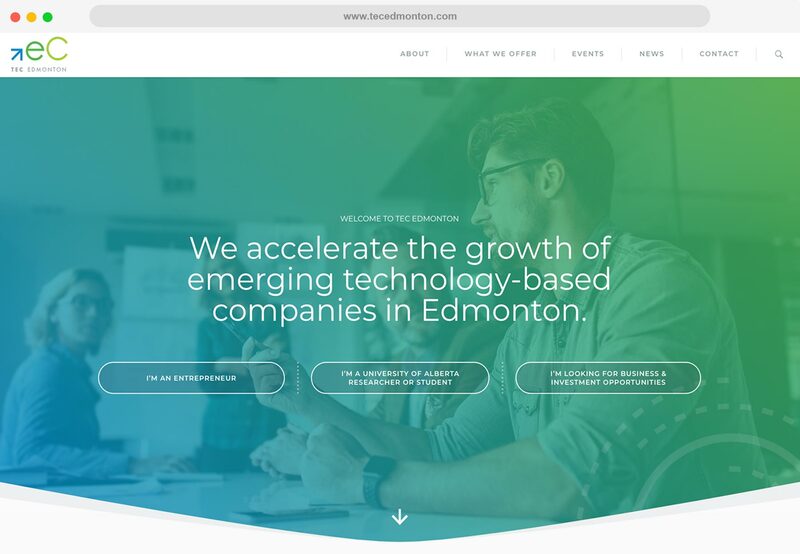 We are an Edmonton design & development studio. 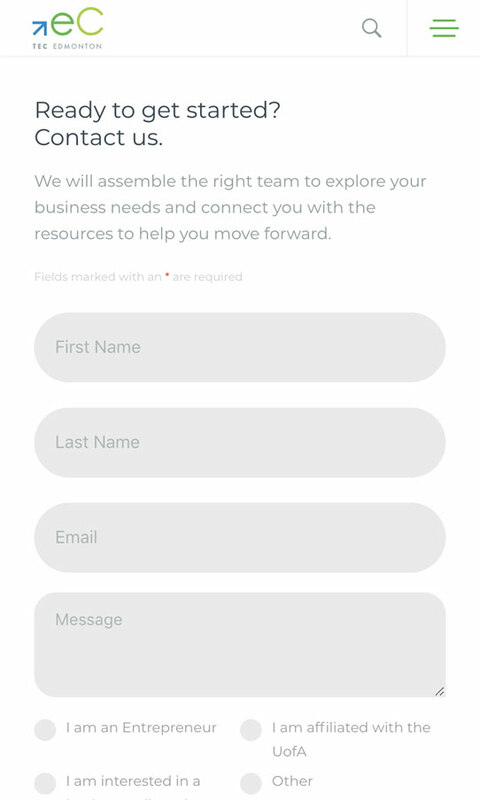 All Work Copyright © 2019 Sonder Creative Ltd.